The first compact tug designed to work always bow first. Hydraulic anchor winch 10 m/min. For 4 persons, completely insulated and finished with durable modern linings, sound absorbing ceiling in the wheelhouse and floating floors. Air-conditioned wheelhouse, accommodation and switchboard room. Accommodation above main deck with a captain’s cabin, chief engineer’s cabin, one double crew cabin, pantry, mess/dayroom and sanitary facilities. The superstructure is mounted resiliently to reduce noise levels. 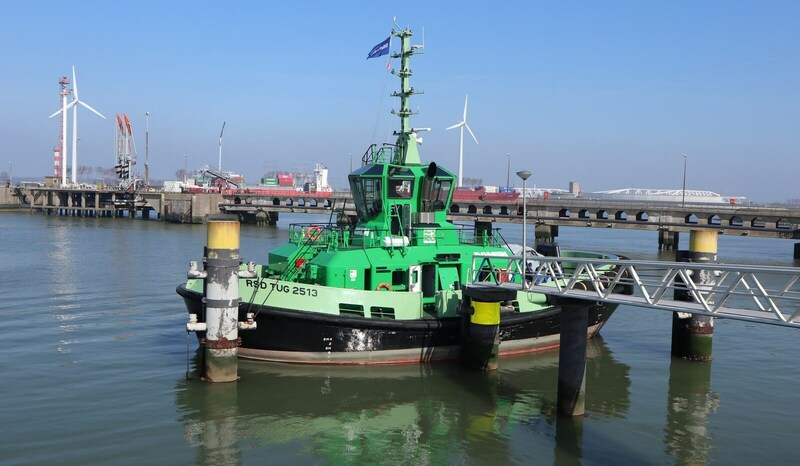 Used IMO Tier III Damen RSD Tug 2513 "Bis Viridis"